Pushkart, a new deals app for your social networks. Free coffee, no strings attached! There are hundreds of daily deal sites based in New York City, offering a myriad of services ranging from spa treatments to rock-climbing excursions and of course thousands of restaurant deals from low end sandwich shops to high-end sushi dinners. Pushkart is a new kind of deals service that launched this past summer, 2010. First, the company has chosen to partner with a wide range of businesses extending into different boroughs as opposed to focusing only on Manhattan. Second, and perhaps what gives Pushkart its truly unique flair is that it allows users to leverage their social networks to get better deals for themselves and their friends. So when a consumer redeems a deal on their app, another, better deal is instantly posted to their social networks, be it Facebook, Twitter, LinkedIn or MySpace (although why are you still using MySpace?). Here’s how it works: I download the app. Then I peruse the available deals, which are sorted by my current location. Seeing local businesses in Williamsburg, Brooklyn advertised on deals apps is a first time for me. I select the ones I like: “Free Coffee at Verb Cafe” and “20% off of Bedford Cheese Shop,” and add them to “My Deals” cart. I show up at Verb Cafe, take a photo of the QR code at the register and then show the deal on my phone to the barista. 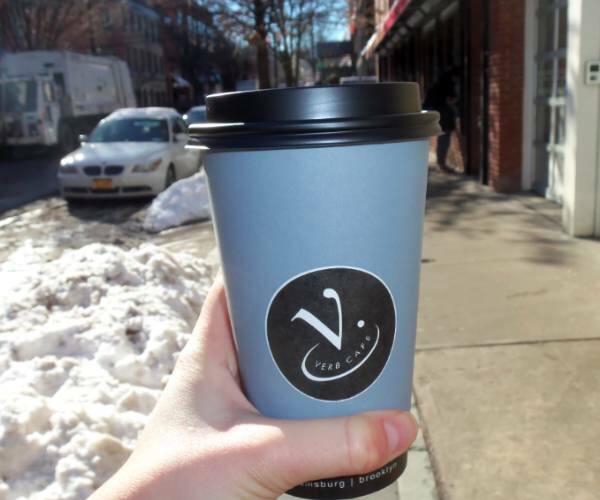 He nods, “Cool,” and hands me a free cup of delicious java. Then, instantly a new, better deal (this time with a free muffin) is pushed out to my social networks, for example on Twitter below. In total, Pushkart, which is still in beta, has partnered with over 600 businesses in New York City and has 3,000 active users. They like to see themselves as “merchant and consumer friendly,” helping merchants who aren’t particularly tech savvy and don’t have time to spend crafting deals for consumers. Unlike Groupon, merchants can change the deal as they wish; which gives merchants the flexibility to tweak deals in response to customer feedback. While merchants are offering blanket deals right now, in the future, Pushkart will be using a user’s “social networth” to provide them with better, targeted deals. “We’re able to take a snapshot of a user’s social network and able to know what their likely interests are in certain retail categories. So for example, your networks would probably mean a lot of tech oriented deals coming your way,” explains Pushkart Co-Founder Craig Elimeliah. So you get a deal, and give a better deal, and most importantly you walk away with a free coffee, no strings attached. Download the app here, available for the iPhone, Android and Blackberry.